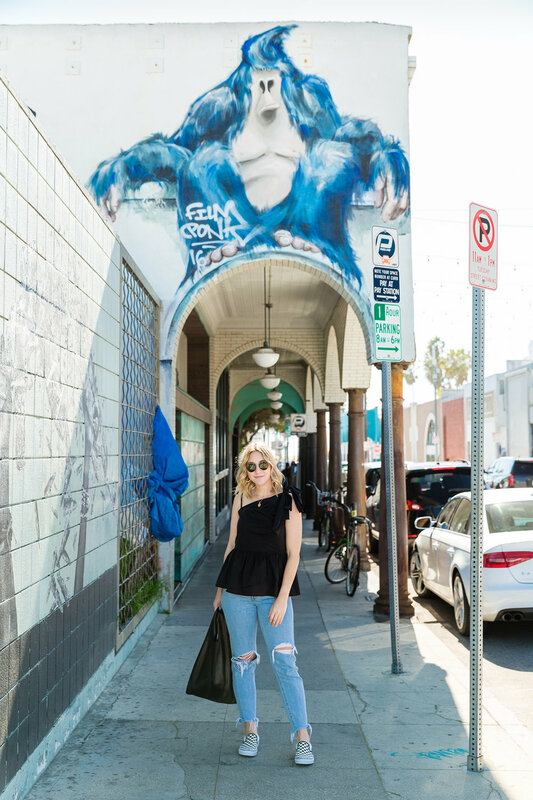 Sometimes you come across an affordable piece of clothing that’s equal parts stylish and versatile. Who What Wear is a brand that nails this combo time and time again. 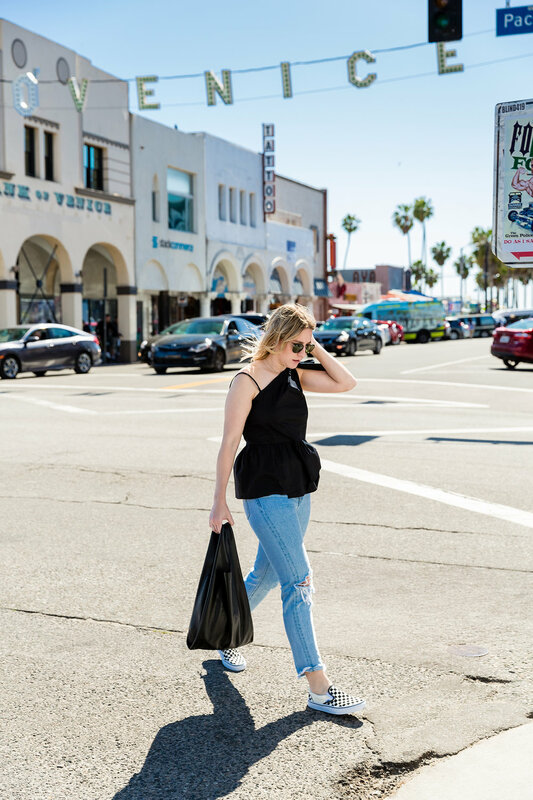 This black asymmetrical top can be dressed up or down in minutes and was under $30. Pair it with denim and a heel or a slip-on sneaker and you’re out the door. I’ve been in California for over a week now and pieces like this are so clutch to have around. 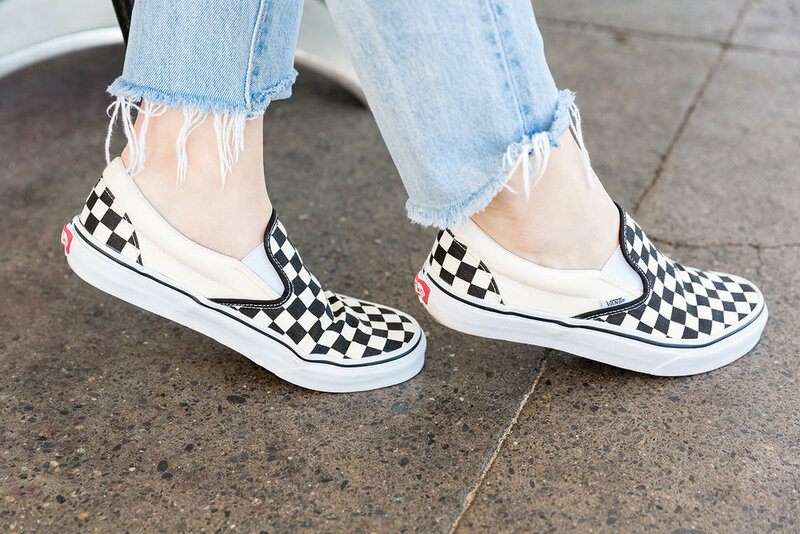 Classic checkerboard Vans are a solid choice to wander around Venice, but if I was heading out for dinner or drinks, all I’d have to do is a quick shoe change and I’m ready to go.